and we'll take care of the rest! We have cash and EFTPOS available to purchase class passes at Reception or buy your pass online before you come! Access our timetable via Google Calendar here. This is a great well rounded class to suit everyone. A little bit of everything – stretching, strengthening, balancing, breathing and meditating. A great class for beginners and intermediates alike for days when you want something a little more chilled out. Find out more about the benefits of Hatha Yoga. If you suffer from a chronic case of ‘monkey mind chatter’ (a brain that just.will.not.be.QUIET!) this one can be a challenge – which means you definitely need it! Slow deep stretches promoting deep flexibility and a strong focus on breathing will leave you feeling like you’ve had a massage and a nap! Find out more about the benefits of Yin Yoga / Restorative Yoga. For us yoga and music is like avocado and Vegemite. Sure, there might be haters but we think it's quite possibly the world's best combination! We think Hip Hop works brilliantly to help you push yourself just that little bit harder, flow with your breath with a little more ease and stay in those poses you love-to-hate just a little longer. Check out a class and leave loving yourself like Kanye loves Kanye. Find out more about the benefits of Power Yoga. For those who like moving rather than sitting – we'll help you get your flow on! A little more coordination is required as we flow with our breath, but don’t worry, it doesn’t matter if you get the sequence wrong! A great class to help switch your thoughts off, build strength, balance and endurance and walk away feeling re-energised and refreshed! Find out more about the benefits of Vinyasa Yoga. Find out more about the benefits of VinYin Yoga. 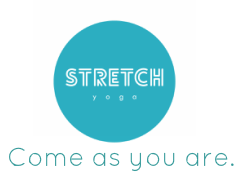 "Great studio, atmosphere and yogis!!! And a timetable that offers so much variety. Thanks PJ and Team!!! Love this place!" - Jane Z.